Now, here's a true original, convenient item for the draftsman in your life. Our Safco Height Adjustable Split Level Drafting Table features two levels to work on, but with the convenience of being able to lower the top level down to create one larger playing field. Its lower level can also be adjusted for height. Nice! It's well constructed with a sturdy steel frame and a wood grain melamine top. It sports a Medium Oak finish. 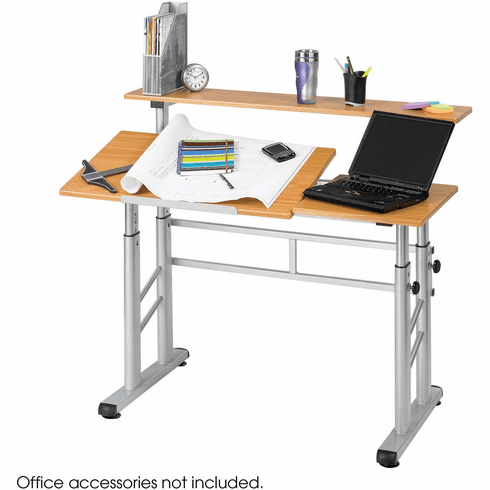 Table height adjusts from 26" to 37 ¼"
Product Height: 26 to 37 ¼"